Fallout76 Nexus, Cloudy01. 30 Mar 2019. 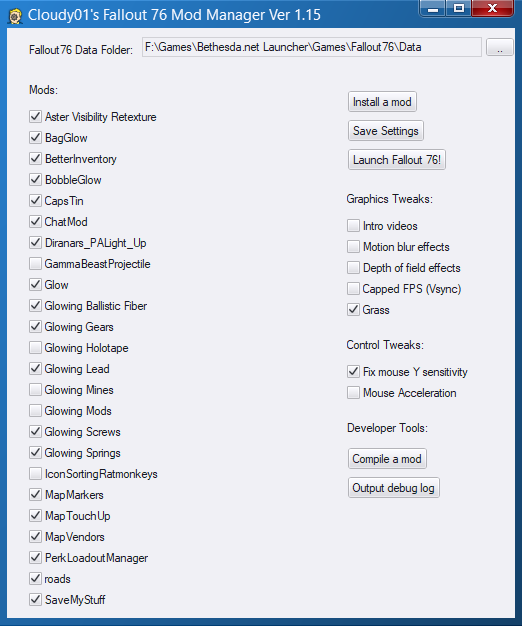 Cloudy01's Fallout 76 Mod Manager. 27 Jan 2019 <https://www.nexusmods.com/fallout76/mods/221>.